Why are your dental implants cheaper than others in Perth? It’s a question we get asked a lot. And frankly, we’re glad you asked. Dental implants have revolutionised the world of dentistry, particularly for denture wearers or those with several teeth missing. Given all their positive features – long-lasting, stable, vastly improving quality of life and so on, implants have become extremely popular. But up till now they have been quite expensive. And not everyone is rich. We understand that unless we lowered the price, few people can benefit from this life-changing product. So, we’ve tried to trim back on costs where we can, while still keeping the high regulatory standards of hygiene and using only TGA-approved, high-quality products. Several factors contribute to our lower prices. At Dentistry Plus, we have a unique advantage. Everything is done under the one roof, with our dentists and dental prosthetists working together. 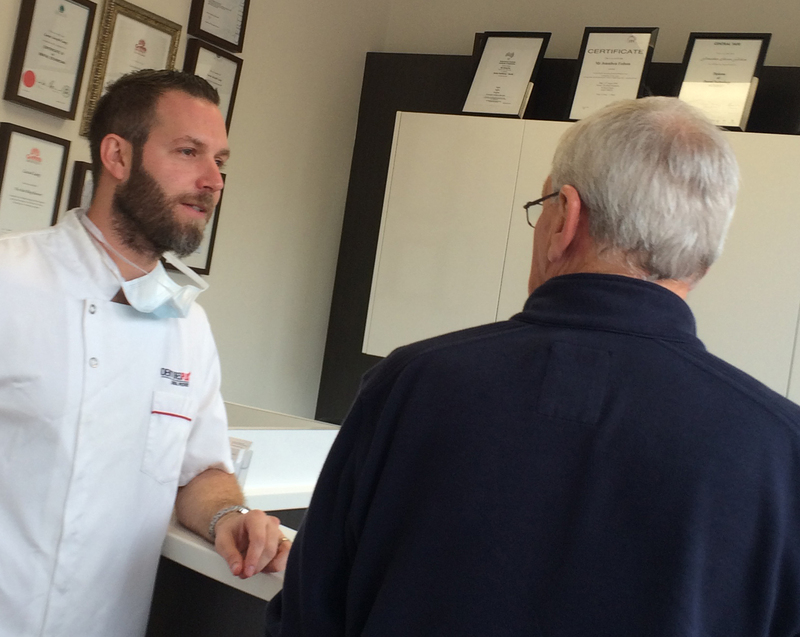 Working alongside our dedicated implant dentist is our dental prosthetist. Because our dedicated implant dentist and dental prosthetist work as a team, when you visit our clinic, you visit both professionals at the same time. Plus, throughout your procedure, we don’t have to outsource anything or have you running around town. This not only saves a lot of time but a fair amount of money, too. nce again, we can pass these savings on to you. And, because we do it all, we also provide you with a thoroughly detailed treatment plan, ensure you are taking care of every step of the way by our friendly team. In Australia today, hundreds of dentists are being educated on implant procedures, where in the past, only a select few were practising implant dentistry. Consequently, this kept the prices high. 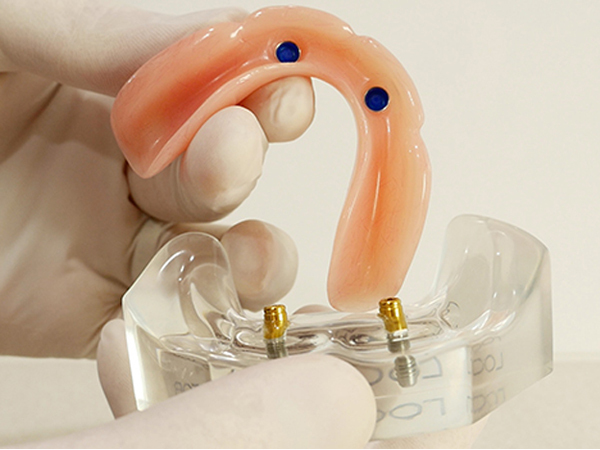 Now, far more dental clinics are offering dental implants. But as almost all still choose to adhere to the old, exorbitant prices, we thought it was time to shake things up a little. We wanted to go against the grain and make it more affordable. 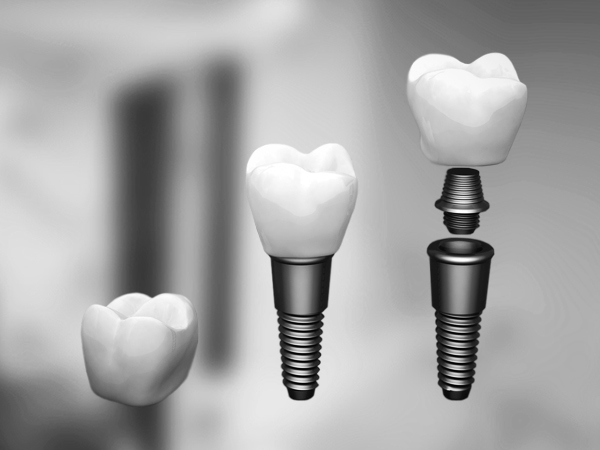 For various reasons, including new technologies and techniques now available, parts required for dental implant procedures are available at a more affordable price. And, best of all, this discount can, yet again, be passed on to you, the patient. But don’t be fooled into thinking we use cheap inferior products. We only purchase high-quality parts that are approved by the FDA and include a lifetime warranty. The ADA (Australian Dental Association*) is concerned about a large number of Australians rushing offshore to have their dental implant procedures performed in unscrupulous clinics. To be fair, sometimes, patients can be lucky and have good results. But other times, results can be devastating. We repeatedly see cases of failed implants, placed overseas, where no x-rays have been taken; implants have been pushed right through the sinus cavity, dangerous materials were used for the implant; or there were poor hygiene standards, frightening infections and more. But implants are not implants. And it’s not that simple. There are over 1000 different types of dental implants on the market, but only a very small handful are available in Australia. Have you implants placed while in Bali, for example, and inferior products could be implanted by someone with far less education or experience. Travel offshore, and your results could be disastrous. So to uphold the ADA’s position of keeping our patients in Australia, we do what we can to make this possible for you. If you have a question about the pricing of implants or are interested in finding out more, call Dentistry Plus today. Call Dentistry Plus today - there's always a clinic not far away!